Ecological restoration is a process of helping damaged ecosystems recover. It produces many benefits for both wildlife and people — for example, better habitat, erosion control, cleaner drinking water and jobs. That's why the Bonn Challenge is so exciting for geographers and ecologists like us. It brings restoration into the center of global discussions about combating climate change, preventing species extinctions and improve farmers' lives. It connects governments, organizations, companies and communities, and is catalyzing substantial investments in forest restoration. So far, 48 nations and 10 states and companies have made Bonn Challenge commitments to restore 363,000 square miles by 2020 and another 294,000 square miles by 2030. The U.S. and a Pakistani province have already fulfilled their commitments, restoring a total of 67,000 square miles. One early success, the "Billion Tree Tsunami" in Pakistan's Khyber Pakhtunkhwa province, has exceeded its 350,000-hectare pledge through a combination of protecting forest regeneration and planting trees. Similarly, Rwanda has restored 700,000 of the 2 million hectares it pledged, primarily through agroforestry and reforesting erosion-prone areas, and created thousands of green jobs. However, these "restored forests" are often poor replacements for natural habitat. For animals dwelling in tropical forests, agroforestry and tree plantations can look more like green deserts than forests. Nonetheless, these working "forests" do have ecological value for some species, and can spare remaining natural forests from axes, fire and plows. 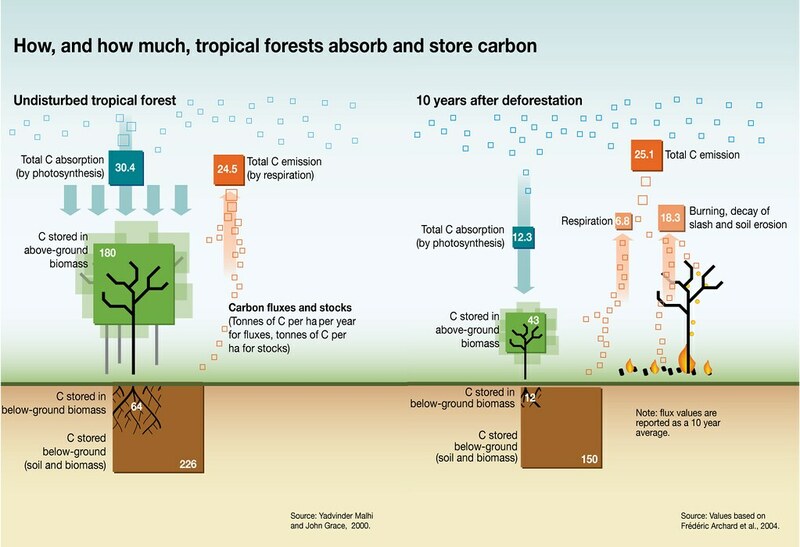 In addition, scientists have estimated that restored forests could sequester up to 16 percent of the carbon needed to limit global warming to less than 2 degrees Celsius above pre-industrial levels, while generating some US$84 billion in assets such as timber and erosion control. Benefits for wildlife and Earth's climate from forest restoration accrue over decades. However, many forests are unlikely to remain protected for this long. The U.N. General Assembly recently approved a resolution designating 2021 to 2030 as the U.N. Decade of Ecosystem Restoration. We hope this step will help motivate nations to keep their promises and invest in restoring Earth's deforested and degraded ecosystems.